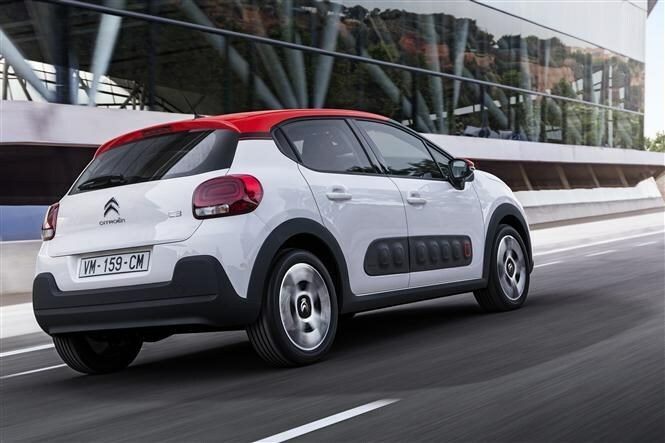 Proving the quirky Cactus wasn’t just a one off, here’s the eye-catching new Citroen C3 hatchback, set to replace the forgettable old car. This is the latest element of the French manufacturer’s plan to refresh its range and attract new, younger customers to the brand. It offers the kind of comfort and refinement you get in a Skoda Fabia, Volkswagen Polo or Audi A1 but with a hefty dose of French style and wide-ranging customisation options, too. This is an important car for Citroen, perhaps its most important launch for years. Not only is it the brand’s best-selling model, with 3.5 million cars shifted since 2002, but it’s also leading the charge for the next generation of Citroen buyers. Helping it stand out is an extensive makeover based on elements from the larger C4 Cactus. 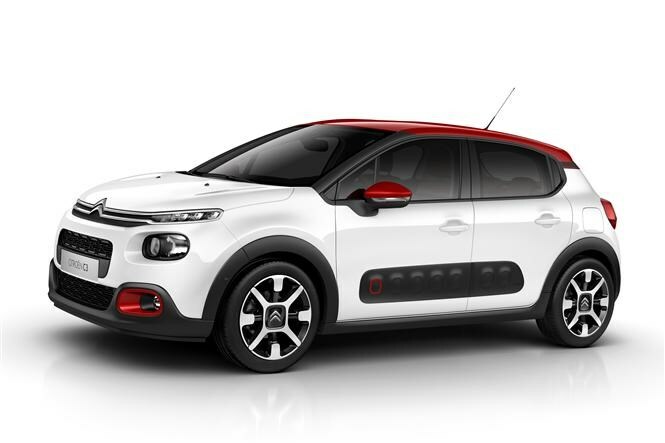 Over time the idiosyncratic styling of the larger car has softened, so the funny-looking Airbumps and luggage-strap door handles now look reassuringly familiar when applied to the C3. 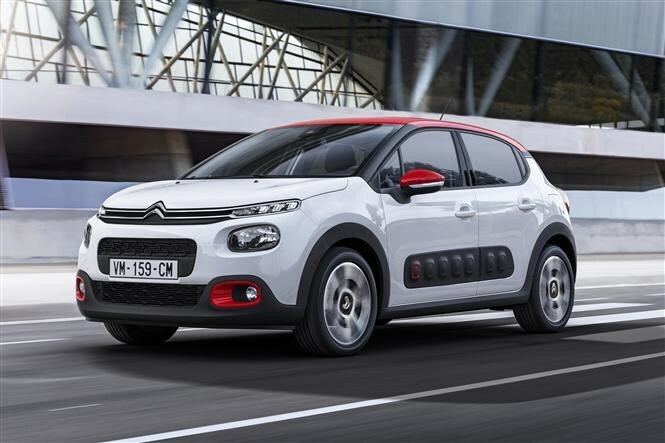 This will also help distance the C3 from the sportier, previously more fashionable DS 3, and allow it to step out from its stablemate’s shadow. We’re quite taken by the two-tone exterior paint job, tiered front light design, and a protective strip of Airbumps on the lower door – there are few similar-sized cars that provide such intrigue. The cockpit is uncluttered and portrays a great impression of space thanks to a wide, flat dashboard. It feels really solid too – the doors close with a high-quality thump and there’s no creaking from the floating touchscreen display. You get the same balance of Cactus bits and new elements as the exterior, with familiar door cards and handles but a traditional set of gauges instead of the C4’s digital unit. The whole car has been designed with the Citroen Advanced Comfort programme in mind, and nowhere is this focus more obvious than the squashy but supportive front seats. We’re really pleased Citroen is returning to its comfortable roots. If the C3 lives up to the marketing department’s claims it’ll provide both refinement and style, something largely missing from its competition. The full UK specification hasn’t been outlined yet but you can expect a choice of PureTech three-cylinder petrol engines and BlueHDi diesels, with manual and automatic transmissions. Top of the bill in terms of gadgetry is the Citroën ConnectedCam, which provides the functions of a GoPro action camera and dashcam combined. It’ll take stills and up to 20 seconds of video, while also automatically recording footage 30 seconds before and 60 seconds after a crash. You can upload pictures and footage to social media channels via a free Citroen app, with the added function of saving the GPS coordinates of your car to help locate it in a big car park. 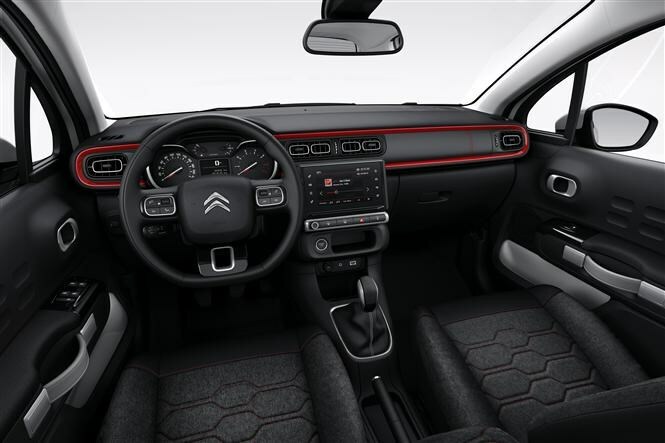 Like the DS 3 that came before it, the new Citroen C3 is available with a raft of customisation options including nine body and three roof colours. The latter also takes in the foglamp trims, Airbump surrounds, wing mirror shells and the rear window trim. On the inside you’ve got a choice of three themes, altering the upholstery material, dashboard trim, and various other highlights. These are called Metropolitan Grey, Urban Red, and the slightly vague Hype Colorado. The new Citroen C3 goes on sale in January 2017.